Throughout his career, Abdus Salam called for the development of strong scientific communities in Pakistan. The progress he sought may finally be taking place after years of neglect. Abdus Salam's place in the annals of the history of physics--and, more generally, the history of science--is secure. As the first scientist from the Islamic world to win the Nobel Prize and as the founder of the International Centre for Theoretical Physics (ICTP), there's little doubt that the scientific world will still be paying homage to Salam for decades to come. Yet, one of Salam's lifelong goals--perhaps the one closest to his heart--ultimately proved to be the most elusive. Throughout his long and distinguished career, Salam devoted a great deal of time and energy to the promotion of science in Pakistan, the country of his birth. But, unlike his work in Trieste, Italy, on behalf of the developing world, his efforts in Pakistan fell far short of the long-term impact he had envisioned. Despite serving as chief scientific advisor to the president of Pakistan for 13 years, despite launching in 1976 the International Nathiagali Summer College on Physics and Contemporary Needs (which is still going strong), despite writing extensively and passionately on the subject, and despite continually cajoling Pakistani officials to invest more funds in science, near the end of his life Salam lamented: "Countries like Turkey, Egypt and my own country have no science communities geared to development because we do not want such communities. We suffer from a lack of ambition towards acquiring science, a feeling of inferiority towards it, bordering sometimes even on hostility." 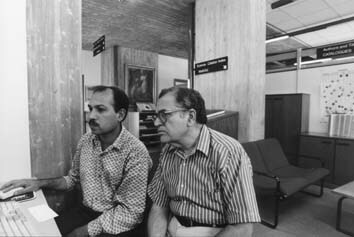 Today, some 35 years after the creation of ICTP that now bears his name and some four years after his death, Salam's call for the creation of a vibrant science community in Pakistan--spearheaded by research excellence in physics--may finally be emerging from the shadows of neglect. But that doesn't mean serious problems don't persist. As Pakistani-born ICTP Senior Associate Ghulam Murtaza notes, "there are just 20 active physicists in all of Pakistan, a country of 130 million people. And, historically, there have been only a handful of institutions where 'serious' research in physics has taken place: the Department of Physics at Quaid-i-Azam University, the Pakistani Atomic Energy Commission's Institute of Science and Technology, and, more recently, the National Centre for Physics, also at Quaid-i-Azam University, and the Department of Physics at Government College. In fact, the majority of physics research is conducted by the nation's atomic energy commission. That's often made it difficult for the concerns of professors in university departments of physics to be heard." As if small numbers of researchers and the absence of reputable institutions were not daunting enough, physics in Pakistan also faces an 'age' problem. 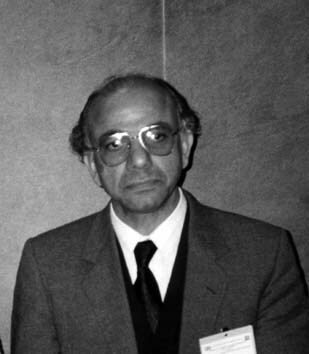 As former ICTP Associate Riazuddin, who also hails from Pakistan, observes: "Although Salam may not have succeeded in establishing an internationally recognised physics community in Pakistan, he helped convince the Pakistani government to make a series of modest investments in scientific research. As a result, there was a flurry of activity in physics during the 1960s and 1970s that prompted the training of a small group of physicists who were born in Pakistan." He then goes on to add that "these researchers, and I include myself among them, have either retired or are approaching retirement. The problem is that there are fewer and fewer young Pakistani physicists now being trained to replace them." Indeed, several observers fear that if current trends are not reversed, the number of researchers working in Pakistan with active research agendas could dip below 10 within the next decade. Despite these problems, there are some promising signs of a brighter future. Atta-ur-Rahman, a Cambridge-trained chemist, who has often praised ICTP (most recently at the World Conference on Science in Budapest in 1999, where he received the UNESCO Science Prize), was appointed Minister of Science and Technology this past spring. During his brief tenure, Atta-ur-Rahman has convinced his government that generous funding for science and technology could produce valuable long-term dividends for economic development. As a result, the government's proposed budget for science and technology has been raised from US$2.2 million in 2000 to US$300 million in 2001--an astonishing increase that brings Pakistan's expenditures for science and technology to 0.5% of its gross domestic product (GDP). To date, the development of information technologies and strategies to promote such engineering-oriented sciences as biotechnology and materials science--both of which promise near-term commercial applications--have been the target points for next year's science and technology budget. But as Murtaza notes, "university-based researchers in fundamental science, including physicists, remain optimistic that the ministry will be responsive to their needs." "Atta-ur-Rahman," he says, "is an accomplished research scientist who understands the importance of basic science. We are confident that his overall policy will include strong support for basic science as an integral part of the government's overall funding strategy." Meanwhile, two recent university events raise hope that the decline in fortunes for physics in Pakistan will soon be turned around. 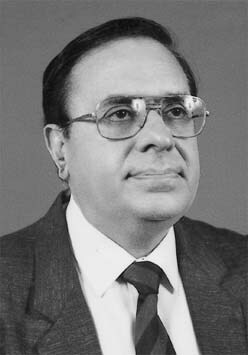 In January 1999, Riazuddin was named the founding director of the National Centre for Physics, headquartered at Quaid-i-Azam University in Islamabad. The centre, which traces its 25-year incubation period back to Pakistan's International Nathiagali Summer College on Physics and Contemporary Needs, has been modelled after ICTP. In fact, Riazuddin hopes that his centre "can evolve into a mini-, Pakistani-based, ICTP." 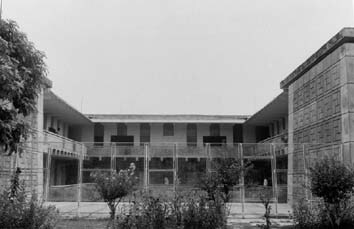 During its 18 months of existence, Riazuddin notes, "the National Centre for Physics has hosted a series of workshops, schools, courses and conferences devoted, for example, to the study of high energy physics, semiconductor physics, computational condensed matter physics, plasma physics and astrophysics." All activities are designed to assist physicists living and working in Pakistan. In addition, the centre has signed a collaborative agreement with CERN (the European Organization for Nuclear Research) in Geneva, Switzerland, to assemble and test the resistant plate chambers of the compact muon silicon detectors associated with the Large Hadron Collider (LHC), which will be the world's leading particle accelerator. CERN hopes to have the LHC in operation by 2005. To build on its recent success, Riazuddin has submitted a funding proposal to the government that would allow the centre both to expand its research and training activities and to build a 50-room guesthouse, library and computer facilities so that "visiting scientists can pursue their studies free from the daily distractions that often take place in their home institutions." In the words of Riazuddin, the proposal, which calls for an additional US$2 million over a 3-year period, would transform the institution from a 'nucleating' to a 'permanent' centre. Another step in efforts to revive physics in Pakistan took place this March, when Murtaza, who was a student of Salam at Imperial College in London, was named the first Salam Professor of Physics at Government College in Lahore, where Salam taught in the early 1950s. Murtaza hopes to use the chair to build co-operative centres of excellence in such fields as plasma physics and condensed matter physics. "The focus," Murtaza observes, "will be on young scientists. In fact, we hope to launch master's and doctorate programmes that will serve as important training grounds for the next generation of Pakistani physicists." Neither the government's recent commitment to increase its funding for science and technology, nor the creation of a Salam chair in physics or a new physics research centre guarantees a resurgence in science--and, more specifically, physics--in Pakistan. But it does suggest that the study of physics, after a long period of dormancy, may soon experience a turn around. Such a development would certainly have pleased Salam. As Riazuddin notes, "If he were alive today, I am sure he would be delighted to see that aspects of his vision are at last being transformed into reality." Riazuddin might well have added that Salam would be the first to say that much more needs to be done and that there is no better time to start than right now. For additional information about the National Centre for Physics at Quaid-i-Azam University in Islamabad, contact ncp@comstats.net.pk or phone 92 51 273545. For additional information about activities associated with the Salam Chair of Physics at Government College in Lahore, contact schair@lhr.comsats.net.pk or phone 92 42 9212245.